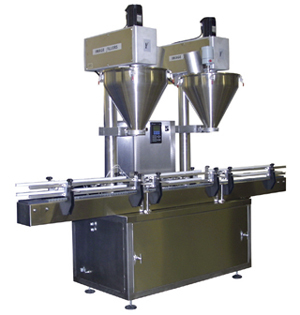 The Image 4500 consists of (2) separate filling heads with one common conveyor. Both heads can be operated individually or together. This machine can be set up for bulk and dribble applications or 100% at each station. • Enclosed Base (pictured above).